IDF deploys database to catch rock throwers. 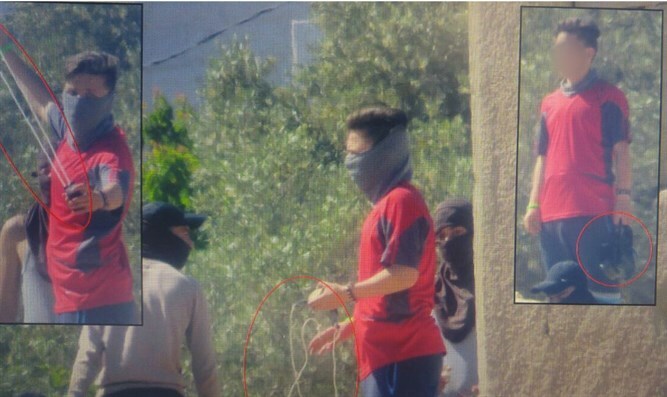 The IDF's Rotem battalion operating out of Neve Yair caught five Palestinian Arabs accused of throwing rocks after the battalion set up a surprise checkpoint at the exit of Nabi Salah. The IDF stressed that the operational success is the result of a new database deployed in the Binyamin region which identifies faces and names of people accused of terrorist activity, enabling forces to arrest them immediately. Captain Avital Haiman, who commands the Binyamin Regional Brigade's intelligence collection unit, explained that "the entire database is specific to the area in which the operational activity takes place and as such, it gives our forces the possibility of arresting rock throwers in real time. The Benjamin Regional Brigade will continue stopping anyone aiming to disrupt the resident's way of life." Arabs in Judea and Samaria have been hurling rocks at Jewish-owned cars for years, and the IDF expends much effort at halting the attacks. In 2015, four-year-old Adele Biton was killed when Arab terrorists threw rocks at her parents' car, causing the vehicle to flip over and collide with a truck. In 2011, Asher and Yonatan Palmer were killed when Arab rock throwers caused Asher to spin out of control near Kiryat Arba.